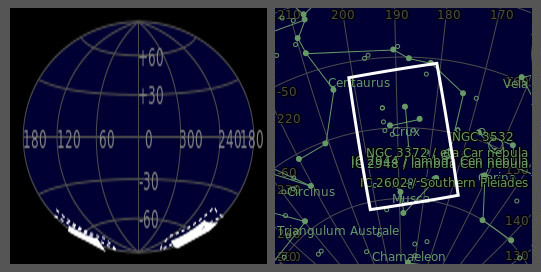 The constellation of Crux is the smallest yet one of the most distinctive of the 88 modern constellations. Its name is Latin for cross, and it is dominated by a cross-shaped asterism that is commonly known as the Southern Cross. Although visible to the Ancient Greeks, it was seen as part of the constellation Centaurus, and not defined or accurately mapped till the 16th century. 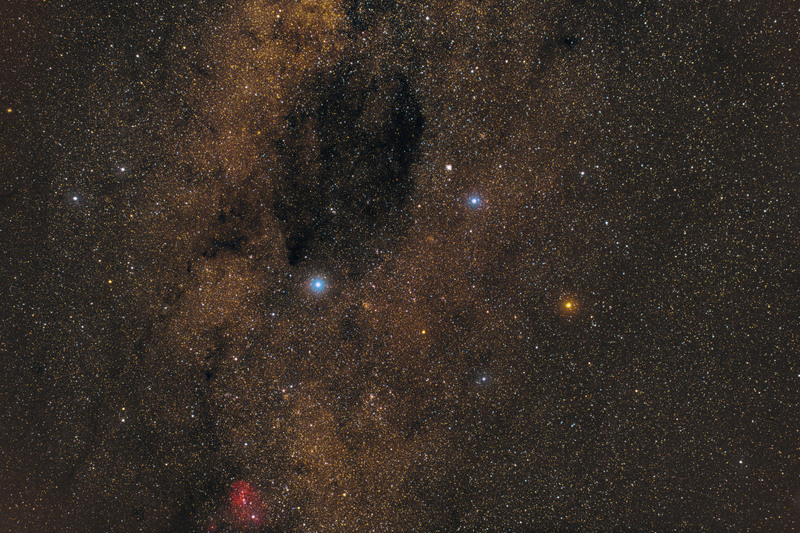 The blue-white Alpha Crucis is the constellation's brightest star and the bottom star of the cross. Nearly as bright are Beta and Gamma, while Delta and Epsilon make up the asterism. Many of the constellation's brighter stars are members of the Scorpius–Centaurus Association, a loose group of hot blue-white stars that appear to share a common origin and motion across the Milky Way. 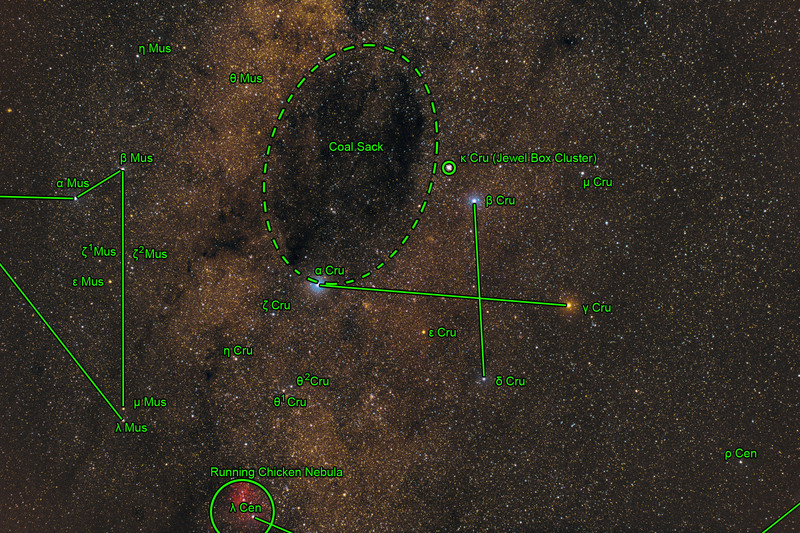 Crux also contains the Jewel Box, a bright open cluster, and the most prominent dark nebula in the sky - the Coalsack Nebula.